One of Green Leaf Medical’s grow rooms as they prepare for the upcoming harvest. The Maryland Medical Cannabis Commission has approved 12 additional dispensaries, bringing the state’s total dispensaries to a count of 22. Some of these dispensaries have already begun selling the medication over the last two weeks, while others expect the medication to be available within the next few weeks. Last year the Cannabis Commission pre-approved 102 dispensaries. However, these were only preliminary licenses. In order to get fully licensed and approved, the dispensaries have had to pass multiple inspections and comply with the extensive local and state regulations. Two medical marijuana dispensaries will be opening in Howard County within the next few weeks. Remedy Columbia located in Columbia and Greenhouse Wellness located in Ellicott City were among the first batch of dispensaries that were issued final licenses to begin selling medical marijuana. Currently, these two dispensaries are just waiting to receive medication from the licensed growers. Once they receive the flower from the growers and infused products from the processors they can begin to serve the numerous patients that have been registered by the Maryland Medical Cannabis Commission. 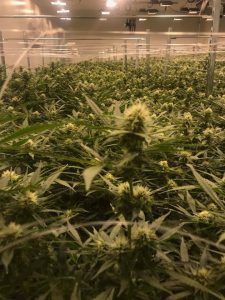 Greenhouse Wellness hopes to receive their medication within the next week, while Remedy of Columbia prepares to begin dispensing by the end of December. Greenhouse Wellness which is co-owned by two female entrepreneurs, Gina Dubbe and Leslie Apgar, have created a warm and welcoming, stylish atmosphere where patients can feel dignified and at ease. They are attempting to alleviate the negative connotations or stigmas associated with cannabis and promoting more of a spa-like atmosphere. They really want their patients to feel accepted, safe, and comfortable at all times. Dubbe and Agpar won one of the highly contested licenses in Howard County’s 12th district. Each legislative district in Maryland was awarded 2 dispensaries and each winning grower was allowed to submit a dispensary application, making a grand total of 102 pre-approved dispensaries. Once the dispensaries were pre-approved they had to comply with state regulations and pass multiple inspections to be fully licensed. These dispensaries will be offering a wide array of products ranging from oils and tinctures to capsules and creams. There hope is to aid and heal those that suffer from debilitating medical conditions such as PTSD, chronic pain, epilepsy, cancer, multiple sclerosis, and many more. Greenhouse Wellness aims to focus on smokeless, infused products where the dosing can be more accurately administered. In addition, there will also be a focus on strain alignment. Strain alignment refers to the pairing of a specific strain with one’s medical condition. There are hundreds of different strains that each have unique characteristics and differing compounds within them. These different chemical compounds produce different healing properties which allows for more precise treatment of differing conditions or symptoms. When patients attend a dispensary they can expect a clinician or a certified staff member to break down the different types of medical marijuana and which strains would be best for that specific person’s condition. 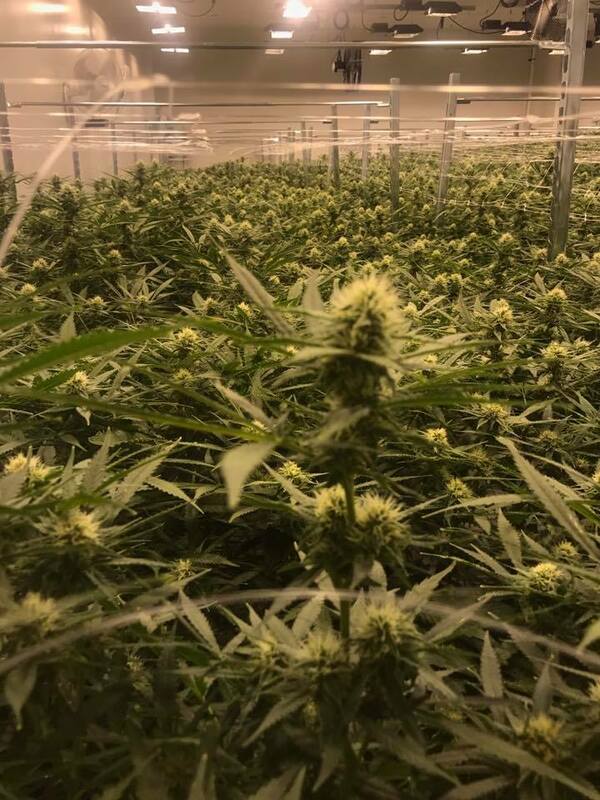 Greenhouse will be receiving inventory of medicinal flower from two of the approved growers, Green Leaf Medical of Frederick County and Cureo Cultivation of Baltimore County. Each grower will have specific strains that they will focus on and this will ultimately add variety to the dispensary’s menu. Green Leaf is composed of staff that have backgrounds in pharmacology, neurology, and agronomy. They will be producing over 36 different strains in their sprawling 45,000-squarefoot-facility. Each of the ultra-clean growing rooms within the facility are fitted with climate-controlled mechanisms and advanced feeding systems which promote lush growing environments. One particular, highly coveted strain that Green Leaf will be growing is Pineapple Skunk. This particular strain is known for increasing appetite, as well as aiding with insomnia and anxiety symptoms. As we mentioned there are numerous other strains that provide an array of different healing properties so the patient can ultimately hone in on the condition they’re trying to treat. Currently there are over 17,000 patients registered with the Maryland Medical Cannabis Commission. However, once you have register with the state of Maryland you must also be certified by a registered medical marijuana doctor. Greenway Consults can assist you with any questions in obtaining your medical marijuana certification or setting up an appointment with a registered MMCC Physician. Below is a list of the new dispensaries that were just recently added; Addresses and telephone numbers are not available at this time.